In 2002, RDB made a significant personal decision, becoming a part-owner, EVP, and CFO for Premier Aviation based in Trois-Rivieres, Quebec. At this point in time, PA consisted of four production lines, with fewer than 100 employees. This began RDB’s career in the aerospace industry, and from which he has never looked back. In 2007, RDB decided to acquire outright sole ownership of the company, and thereby became its President and CEO. By this time, RDB had developed a true understanding of the business itself and had a clear vision for growing PA into a leading player in the aircraft maintenance industry in Canada. Between the years 2007-2015, RDB led PA on a path of rapid growth, expansion, and built its reputation as a quality supplier, offering superior workmanship turn-times and at competitive rates. During this time, Premier acquired first rate new hangar capacity in three strategically located business centers, namely Rome, NY, Windsor, ON, and Quebec City, QC. In total, PA&apos;s production capacity increased to 850,000 square feet with twenty six production lines for heavy maintenance. Premier also offered its customers state of the art aircraft paint facilities in both Rome and Trois-Rivieres. Also, the workforce rapidly expanded to a thousand employees based at its four business locations. 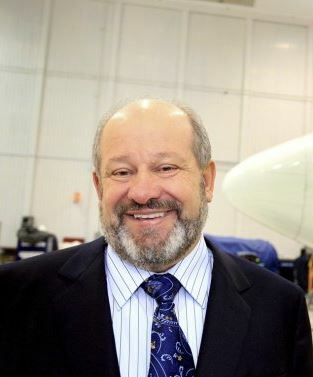 During his tenure as CEO of PA, one of RDB’s proudest accomplishments was the establishment of a formalized combined work/classroom learning experience for young people interested in entering the aircraft maintenance industry by becoming a trained Certified Aircraft Technician (CAT). This 3 year program was developed in partnership with Community /Technical colleges. Its curriculum and work experience was duly recognized and endorsed by Transport Canada. In September, 2017, RDB decided to accept a buy-out offer from AAR, a large MRO company based near Chicago, Illinois for the Windsor and Trois-Rivieres facilities. RDB remains CEO of PA and continues to oversee operations in Quebec City, QC. RDB continues to reside in Trois-Rivieres, Quebec.